=Post Civil War. Families Move West To Begin Rich New Lives, Only Some Never Make It. 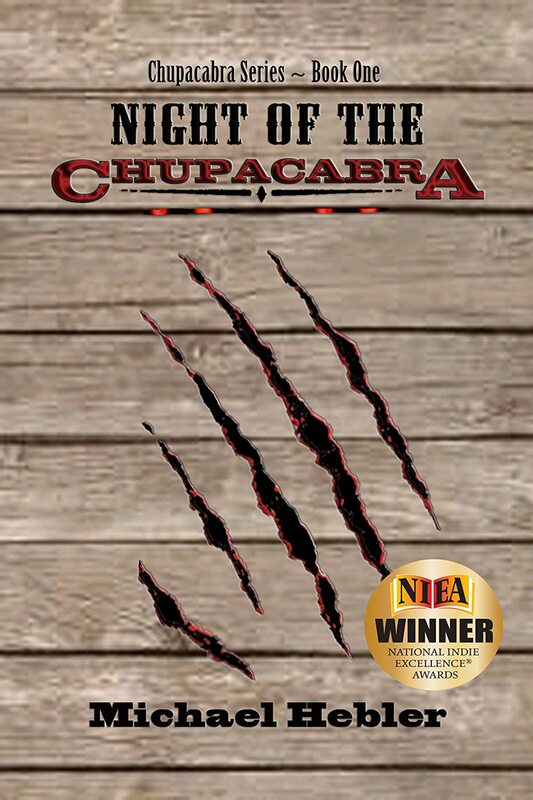 Night of the Chupacabra is one man’s journey to reunite with his missing family, while the lethal creature that separated them, the mysterious and ravenous chupacabra, is never far behind. Make sure you learn just as much about publicity and marketing as you learn about the craft of writing because whether you’re traditionally published or self-published – if you’re not Stephen King or J.K. Rowling – you’re the one responsible for getting word out there about yourself and your book. It was a combination of events. I was a theatre geek in college during the early ’90′s. A friend of mine wrote and directed a one-act play about a group of people who trapped themselves inside a saloon while monsters – I think they were vampires – were trying to get inside. That was when I fell in love with western-horror and decided to write a screenplay on fusing those two genres. Sort of simultaneously, a roommate of mine had posted an article on the refrigerator of an Orange County man blaming the death of his baby on a chupacabra. This was the first I ever heard of the creature and the article made my roommate laugh and it hung on the fridge forever. So every time I was hungry or thirsty, I was reminded of the chupacabra. By this time, I had already begun my western-horror screenplay, then called Dark Sunrise, and created a creature from my imagination. Then one night, I was watching an episode of X-Files about the chupacabra, which blew my mind because of the article. And a lot of the traits and characteristics mentioned in the episode were what I had already created for the monster in my story, so midway through writing Dark Sunrise, I changed my creature to the chupacabra. Then over the years, the screenplay became adapted into the novel published today, as well as a series of stories that will follow. Prior to becoming an award-winning author of dark fiction, Michael worked as a full-time international film publicist on multiple titles for Walt Disney, Pixar, Lionsgate, Lakeshore Entertainment, Warner Bros., Summit Entertainment, as well as the 2013 Academy Award-winning Best Foreign Language Film, “La grande bellezza” (The Great Beauty).